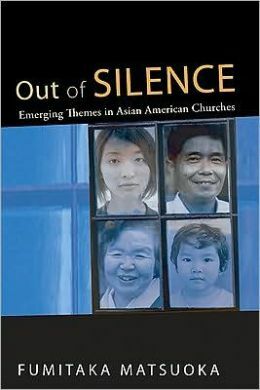 The issue of cultural marginalization and forced retreat is one of the key focal points in Fumitaka Matsuoka’s Out of Silence: Emerging Themes in Asian American Churches. In that double cultural jeopardy, he points out, the Asian American church has served two functions for the people who are part of it. First, the church has been the reservoir of the original Asian cultural and linguistic heritage. In these churches the people celebrate their own culture and practice their own language that, outside of the church, cannot be celebrated or practiced properly. Second, the church has helped the people’s cultural integration into the American society and local community. The church not only teaches American culture and language, but also provides any physical (e.g., providing a ride to the remote hospital), economic (e.g., monetary transactions among people), or informative (e.g., information about cheap rental property) help. Fumitaka finds these two social functions very helpful and necessary, yet not enough. For him, these functions or roles are too passive to make real social or spiritual changes in or out of the Asian American church, in the light of the larger American society. Because of their passive retreat, the Asian American Christians and Asian Americans in general have been silent or silenced, in the broader culture. Fumitaka encourages the church to get out of its own ethnic and cultural enclave in order to 1) demonstrate its legitimate social place in the wider dominant culture and 2) more importantly, envision and strive to achieve a new American social reality of racial reconciliation, political equality, and socio-economic justice based on the lessons of Christian scripture or the message of Jesus Christ. Fumitaka contends that Asian Americans can envision this new kind of transformed American reality because they are now living in the creative space of the “state of liminality.” (61) That is, although Asian Americans seem to live in a fixed reality defined by the powerful dominant culture, they are wide open to new ideas. Especially when based on the vision of the Kingdom of God, they could possibly serve as the transforming agents of God in American society. Fumitaka is not naively optimistic in believing that Asian Americans are the only legitimate agents of this social transformation or the only ones fully capable of it. Rather, his optimism lies in the power and authority of the Christian faith in Jesus incarnate, who once served and still serves his people in concrete human history as a realistic hope for the broken world. As Matsuoka provides a good example, many Asian American theologians seek to establish from the Asian American multicultural perspective a racially reconciled America. As Matsuoka himself admits, however, this reconciliation movement is still weak in the Asian American circle, due to 1) the Asian Americans’ narrow social concerns and 2) the extremely marginal status of the Asian Americans in society. Matsuoka is right in saying that Asian American (practical) theology has had little concern for theology as public theology that can contribute to the larger social, multicultural, and multi-racial transformation. Further, the Asian American theological perspective is not being taught at either the major or local American seminaries today. Unless it is seriously taught with significant weight on its public aspect, not only for Asian Americans, but also for Euro-Americans, African Americans, Hispanic Americans, and all others at the educational institutions, it will be hard for Asian American Christianity to make a considerable contribution to the American theological mainstream and U.S. society in general in the near future.